This report brings out the audit compliance of a company named BHP Billiton limited. Execution of audit procedure has become necessary in this fraudulent business world. 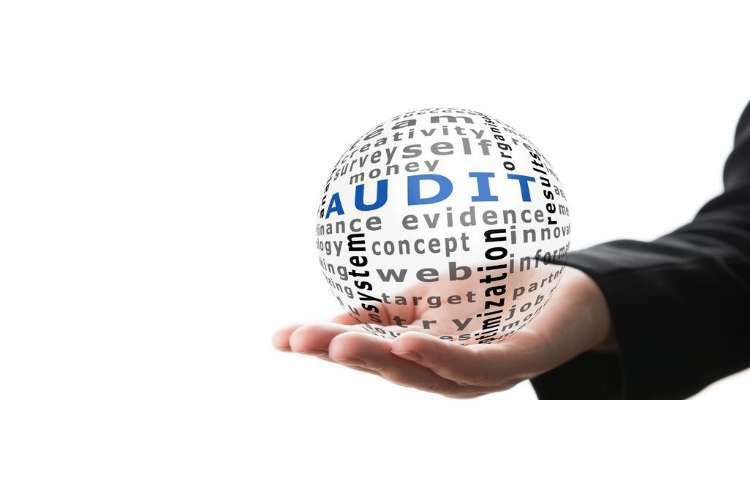 To overcome the problem and issues related to audit procedures, are reported in key audit matters. Any variation in valuation of assets calls for report in key audit matter. The report proposes other assurance, non-assurance, audit, and non-audit marketing services that they receive from external auditors and pay remuneration for the same. The auditor advices the company`s management to collaborate, acquire or divest the capital which further is reported in Matter subsequent events. Every company issues an auditor independence report that clearly lays down that there are no contraventions during the audit procedure (Roy and Saha, 2018). BHP Billiton limited is an Australian public listed company operating in mining, petroleum, and metals headquartered in Victoria Australia. The company was created in 2001 by merging two companies named Australian Broken Hill proprietary company limited and Anglo-Dutch Billiton limited. Moreover, in near 2007, the company decided to seek its purchase rivalry-mining group Rio Tinto Group in terms of all the shares of the rivalry group (BHP Billiton limited, 2016). The auditors admit that the company lead Auditor`s independence declaration under the Australian Corporation Act, 2001 in its section 307C. Auditors declare that they had best of their knowledge and experience when they continued the procedure of audit of BHP Billiton ltd. In addition to this, they declare that there are no contraventions of the independence report of auditor as a need to be regulated according to Australian Corporations Act 2001. Moreover, there are no such contraventions of any applicable code of conduct related to audit professionally (Srivenkataramana, 2018). Although, the external auditors do provide various non-audit services but the independence and objectivity of external auditor are protected by restricting some provisions of non-audit services. The risk and audit committee has opted a policy that is entitled to “provisions of audit and non-audit services by external auditor” that covers all the procedures and pre-approval polices. These provisions helps to maintain the independence of external auditor (Srivenkataramana, 2018). The audit services are pre-approved and includes statutory audit of all the entities of BHP Billiton ltd. The Risk and audit committee undertakes to analyse the performance of audit or review as logical extension of audit. Non-audit services are outside the scope of external statutory auditor. However, the external auditors can best accomplish these assurance and compliance activities. Any proposal of non-audit services such as engagement of external auditor relating to internal control or helping the company to implement the regulatory requirements that includes the application of Exchange Act. Other services such as participating in the actions that are generally undertaken by management. Moreover, external auditor also helps to decide the remuneration strategy by structuring the ‘success fee’. Auditors also act as an advocacy role in the company (Li et al., 2015). The auditor`s remuneration has not shown significant change in these two subsequent years. The remuneration has increased from US $ 419500 million in 2016 to US $ 399500 million in 2017. The increase is not even very notifying, the change is up to 0.4%. Moreover, the company paid nearly US $ 11.6 million from audit fees, US $ 4 million from audit related fees and US $ 7.1 million from non-audit services in 2015. Whereas, the company paid of $ US 8.1 million as audit fees, $ US 2.6 million of audit-related fees and £1.9m as non-audit fees. As compared to the differences in the payment made to auditors in 2016 and 2017, the change is not much notifying. However, during 2015 and 2016, the company has strived to reduce its non-audit service expenses from $ US 7.1 million in 2015 to $ US 1.9 million in 2016 (Accountancy Daily, 2018). Key audit matters are significant in the audit of financial statements for the recent year. Key audit matter includes the assessment of risk of material misstatement, the overall audit strategy, directing the endeavour towards engaging the team, and allocation of proper resources in the audit procedure. Various audit matters have greater impact on the audit procedures. The key audit matter includes the carrying value of portfolio of assets that has affected by sustained instability of commodity prices. The asset valuation were addressed differently in the audit such as Property and plant: US$80.5 billion in 2016 was reported as US$84 billion. The area of judgement is related to group assessment of future cash flows from cash generated from each unit. Asset valuation is a key audit matter. The procedure in evaluating the key audit matters involved in testing the key control over the valuation of property, equipment, and plant. The audit matter is not only limited to tangible assets rather it includes intangible assets that undertakes asset impairment. It compare and evaluate the operating and upcoming capital expenses to the latest plans and budgets. The procedure involves working with the asset valuation specialist to compare the key assumptions for instance- discount rates, nation specific risks, commodity prices, and commodity prices. In 2017, the audit group reported that according to US financial reporting requirements as per the US securities exchange Act, 1834, it is being seen that material weakness due to control and process which is used to determine the impairment of particular onshore US assets in the financial year 2016. The company reappointed KPMG as an auditor to the company named BHP Billiton ltd. The company proposed to hand over the audit to KPMG in the annual general meetings as per the section 489 of the UK companies Act, 2006. The audit committee has three to four members who has a strong finance and accounting background. Mr Lindsay Maxsted was the director of the company until 2011. He is a corporate recovery specialist who manages the insolvency and capital restructuring of the company. Another expert named Wayne Murdy was another director of BHP Billiton limited since 2009. He has a strong background knowledge of finance and accounting. Shriti Vadera has a wide range of experience in economics, finance, and extensive experience of international institutions. The chairperson of the disclosure group is named as Ms Taylor, who is a fellow of governance institute (Paracini, Malsch, and Tremblay, 2014). A group of internal auditors carry out functions related to RAA (Group Risk Assessment and Assurance). The group provides assurance whether control, risk management and governance procedures are accomplished timely and properly. The risk and audit committee review the activities in the light of (RAA) Risk Assessment and Assurance. The staff of internal auditing team ensures that the financial statements are prepared in the light of key risks. The auditors function as a monitor and reviewer to check the overall effectiveness of audit services (BHP billiton ltd, 2016). Both internal and external auditors are committed to confirm that financial reporting can be accomplished by managing the risk and mitigating it by meeting compliance requirements. The function of auditor`s committee is to put a check on the material aspects of the company and also implementing them. An auditor keep checking that whether financial statements comply with the IFRS Accounting standards or not (Bowlin, Hobson and Piercey, 2015). The auditors play the role of watchdog that assist the shareholders to monitor the credibility of the presentation of the financial statements. To enhance the credibility, the external auditor expresses the actual opinion regardless of any impartiality that reduces the conflict of the interest (Auditing and Assurance Standards Board, 2015b). The external auditor evaluates the company on certain principles such as going Concern Company by expressing their opinion based on audit report to the shareholders. The role of the auditor who is in independent profession is to assess every method and implication of GAAPs in the organisation. Auditors have declared that the company has reflected its true financial statements of the whole group as at 30 June 2017. KPMG has recommended that the company has prepared the consolidated financial statements as per the IFRS (International Financial reporting standards) which are adopted by European Union (EU). BHP Billiton Plc has prepared its financial statements according to UK accounting standards that includes FRS 101 disclosure Framework. It is being reported by the auditors that the company has submitted its financial statements as per the requirements of UK companies Act, 2006 as given in the Article 4 of the IAS regulation. Auditors have not found any material misstatements in the strategic annual report. The information elaborated in annual reports is consistent in the financial reports and auditors accomplish that reports are prepared according to the UK Company Act, 2006 (Auditing and Assurance Standards Board, 2015c). There was no such activity of acquisition during 2015, 2016, and 2017. Moreover, the company has divested certain subsidiaries, joint operations, operations and equity accounted investments in the year. The company has disposed BHP Navajo Coal Company and Indomet coal in 2017 and Pakistan gas business and San Juan Mine in 2016. In august 2017, board of directors have approved an investment of around US$2.5billion for developing the Spence growth option. This also includes the construction of copper concentrator that will help to increase the longevity of the mine by more than 50 yrs. Again, in august 2017, the board of directors agreed to approve a repurchase plan of multi-currency bond with a cumulative capital of US$2.5 billion. Moreover, the company planned to increase the global total capital to US$2.9billion. These subsequent events may not have very strong impact on the financial statements for the year 30 June 2017. The auditor plays an important role in planning and performing the audit functions to get a reasonable assurance of whether financial statements are fair and unbiased or has a bunch of errors and fraud. The auditor gives the fair representation of financial accounts with a confirmation of following GAAPs (Generally Accepted accounting principles). The independent auditors also helps in advising the company regarding the impairment and liquidation of assets. The auditor is confined to expression of opinions and reviewing the accounts (Auditing and Assurance Standards Board, 2013). Preparation of financial statements is the major responsibility of the management and directors of the company. It is an implicit part of management responsibility. Both the parties’ board of directors and auditors can together accomplish the successful execution of financial statements. Board of directors gain confidence and trust once the financial accounts have gone through auditors check-up. Board of directors believe on auditors’ performance to gain the trust of shareholders and investors. The public believes on when they think of investing in any organisation on the auditor (Auditing and Assurance Standards Board, 2015). The board strongly believes that there is suitable balance between non-executive and executive directors that would promote shareholders interest and will govern BHP effectively. The management is responsible for activities that are directly related to external audit group and consult them during the process (Clikeman, 2018). The auditor enter into the process and participate in firm-led interviews with each subsidiary firm of the company and provide them a opportunity to ask questions. By filling, a feedback form and evaluate certain principles and aspects of the organisations with written tender submission. The area of evaluation generally covers three important key areas such as terms of engagement in which the quality and engagement are paramount, cultural fit and relationship, and quality and capability. Based on strong evaluation criteria, BHP should issue request for proposal (RFP) to three tiered audit firms. BHP`s auditor does not participate in EU regulations and competition which requires marketing authority rules to accomplish new external audit (Deumes et al., 2012). After going through the auditors role in managing the company`s accounts is not an easy task, there are various IFRS standards, policies, GAAPs (Generally accepted accounting principles) which has to be accomplished by the company when entering into an going concern organisation. The auditors recognised are KPMG. Both internal and external auditors are associated with the KPMG team. While going through the comparative analysis of remuneration to the auditors for both its audit and non-services, it is being reported that the company remuneration system has not much changed as it does in the last financial year 2015-2016. 2. Auditing and Assurance Standards Board (2013) Auditing Standard ASA 315 Identifying and Assessing the Risks of Material Misstatement through Understanding the Entity and Its Environment [online] Available from: https://www.auasb.gov.au/admin/file/content102/c3/Nov13_Compiled_Auditing_Standard_ASA_315.pdf [Accessed 14/09/2018]. 3. Auditing and Assurance Standards Board (2015a) Auditing Standard ASA 200 Overall Objectives of the Independent Auditor and the Conduct of an Audit in Accordance with Australian Auditing Standards [online] Available from: https://www.auasb.gov.au/admin/file/content102/c3/ASA_200_Compiled_2015.pdf [Accessed 14/09/18]. 4. Auditing and Assurance Standards Board (2015b) Auditing Standard ASA 701 Communicating Key Audit Matters in the Independent Auditor’s Report [online] Available from: https://www.auasb.gov.au/admin/file/content102/c3/ASA_701_2015.pdf [Accessed 14/09/18]. 5. Auditing and Assurance Standards Board (2015c) Auditing Standard ASA 570 Going Concern [online] Available from: https://www.auasb.gov.au/admin/file/content102/c3/ASA_570_2015.pdf [Accessed 14/09/2018]. 8. Bowlin, K.O., Hobson, J. L. and Piercey, M. D., (2015) the effects of auditor rotation, professional skepticism, and interactions with managers on audit quality. The Accounting Review, 90(4), pp.1363-1393. 11. Li, C., Raman, K.K., Sun, L., and Wu, D. (2015) The SOX 404 internal control audit: Key regulatory events. Research in Accounting Regulation, 27(2), pp.160-164. 12. Paracini, G. H., Malsch, B. and Tremblay, M. S., (2014) on the operational reality of auditors' independence: Lessons from the field. Auditing A Journal of Practice & Theory, 34(2), pp. 201-236. 13. Roy, M. N. and Saha, S. S., (2018) Statutory Auditors’ Independence in Protecting Stakeholders’ Interest: An Empirical Study. Springer.